Movement asymmetries during walking are common after anterior cruciate ligament (ACL) injury and reconstruction and may influence the early development of posttraumatic osteoarthritis. 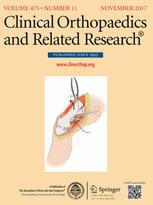 Preoperative neuromuscular training (like perturbation training, which is neuromuscular training requiring selective muscle activation in response to surface perturbations) improves gait asymmetries and functional outcomes among people who are ACL-deficient, but the effect of postoperative perturbation training on gait mechanics after ACL reconstruction is unknown. Among men undergoing ACL reconstruction, we sought to compare strength, agility, and secondary prevention (SAP) treatment with SAP plus perturbation training (SAP+PERT) with respect to (1) gait mechanics; and (2) elimination of gait asymmetries 1 and 2 years after ACL reconstruction. Forty men were randomized into a SAP group or a SAP+PERT group after ACL reconstruction and before returning to preinjury activities. Participants were required to achieve ≥ 80% quadriceps muscle strength symmetry, minimal knee effusion, full ROM, no reports of pain, and completion of a running progression (all between 3 and 9 months postoperatively) before enrollment. Of 94 potentially eligible athletic male patients evaluated < 9 months after ACL reconstruction, 54 were excluded for prespecified reasons. Participants underwent motion analysis during overground walking at 1 and 2 years postoperatively. Variables of interest included (1) sagittal and frontal plane hip and knee angles and moments at peak knee flexion angle; (2) sagittal plane hip and knee angles and moments at peak knee extension angle; (3) sagittal plane hip and knee excursion during weight acceptance; and (4) sagittal plane hip and knee excursion during midstance. We also calculated the proportion of athletes in each group who walked with clinically meaningful interlimb asymmetry in sagittal plane hip and knee variables and compared these proportions using odds ratios. There was no differential loss to followup between groups. 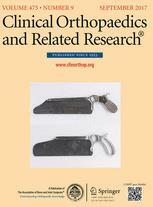 There were no differences between the SAP or SAP+PERT groups for the biomechanical gait variables. The involved limb’s knee excursion during midstance for the SAP (mean ± SD: 1 year: 15° ± 5°; 2 years: 16° ± 5°) and SAP+PERT (1 year: 16° ± 5°; 2 years: 15° ± 4°) athletes was not different between groups at 1 year (mean difference: −1°; 95% confidence interval [CI], −5° to 2°; p = 0.49) or 2 years (mean difference: 1°; 95% CI, −2° to 4°; p = 0.54). There were no differences between SAP and SAP+PERT athletes regarding the elimination of gait asymmetries, and gait asymmetries persisted to a large degree in both groups 1 and 2 years postoperatively. At 1 year, 11 of 18 SAP and 11 of 20 SAP+PERT athletes walked with truncated knee excursions during weight acceptance (odds ratio: 0.8, p = 0.70) and midstance (SAP 12 of 18, SAP+PERT 12 of 20; odds ratio: 0.8, p = 0.67), whereas at 2 years postoperatively, truncated knee excursions during weight acceptance (SAP seven of 17, SAP+PERT eight of 19; odds ratio: 1.0, p = 0.96) and midstance (SAP five of 17, SAP+PERT 11 of 19; odds ratio: 3.3, p = 0.09) remained prevalent. We found that a comprehensive, progressive return-to-sport training program with or without perturbation was not effective at restoring interlimb symmetry among men 1 or 2 years after ACL reconstruction. 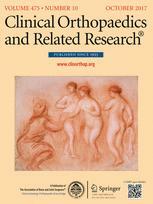 Although gait asymmetries improved from 1 to 2 years postoperatively, meaningful asymmetries persisted in both groups. 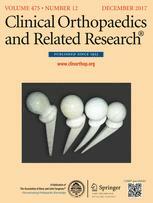 To restore gait symmetry after ACL reconstruction, additional interventions likely are necessary.